Description	 MS in Old Babylonian on clay, probably Larsa, Babylonia, ca. 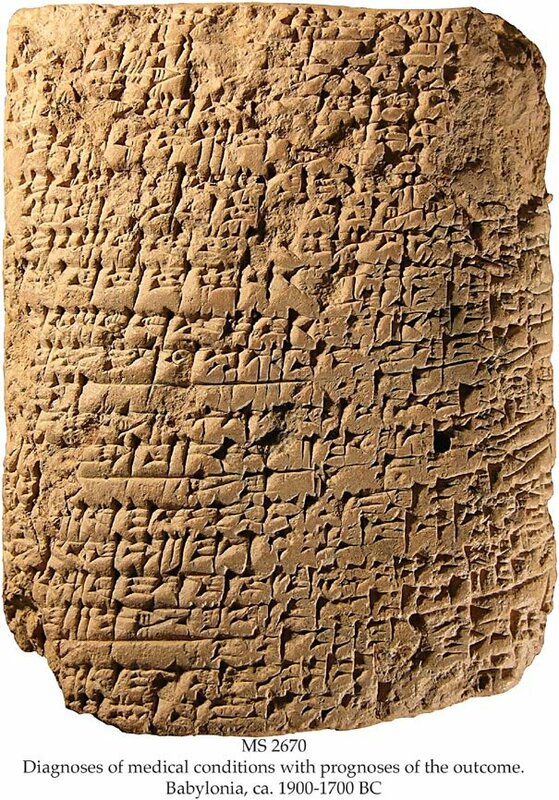 1900-1700 BC, 1 tablet, 10,4x7,8x3,2 cm, 45 lines (originally 66) in cuneiform script. Commentary	 Medical texts of this category are well known from Neo Babylonian literature, while from the over 1000 year older, Old Babylonian period, few survive. 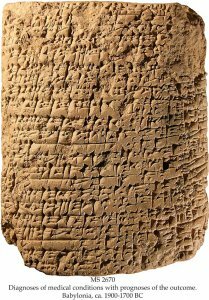 Many of the Babylonian diagnoses and prognoses still hold true in modern medicine.